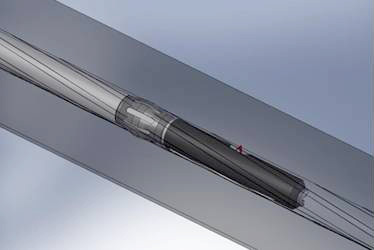 The Small Caliber Bore Erosion Measurement and Inspection System (BEMIS™) is designed to conduct inspections on gun barrels from 5.56mm to 12.7mm (.22 cal to .50 cal). For additional information and specifications, click here. 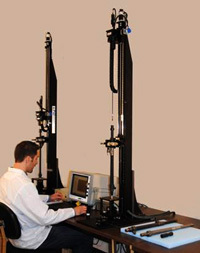 LP-4210™ or LP-4210F™ Display and Control (DAC) unit can be used with the vertical inspection stand.